The Samsung NC10 netbook is one of the most popular netbooks out there today. Many has faced a problem of dropping and cracking the screen on it while some have noticed that their screens have developed the lines fault or has simply gone dark. In this tutorial you will learn how to disassemble and replace a cracked/broken or flickering LCD screen on Samsung NC10 Laptop Netbook. The Samsung NC10 netbooks come with 10.1 or 10.2 inch WSVGA LED LCD widescreens display monitor panel. This instruction will work for all the Samsung NC10 Laptop models and must be followed with care. You must make sure you have acquired the right replacement screen for your laptop before starting the repair. A lot of people will look at this tutorial and may not feel confident carrying it out. I will suggest going through it all first before starting the repair. 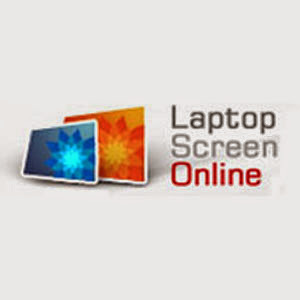 You can opt for laptop screen repair if you do not feel confident. Then remove the Samsung NC10 battery from the laptop before starting the replacement. Note that when removing the battery is essential to avoid the laptop backlight technology or any other part of the notebook to malfunction after the repair. The Samsung NC10 willcome with 4 screws in the front bezel area of the netbook. Use a flat screwdriver remove the plastic/rubber screw covers on this plastic bezel. Use a aid of precision screwdriver to remove the four screws around the plastic bezel and keep them safe. Use a sharp plastic object to make a space between the plastic bezel opening. You can also use a flat screwdriver to do this. At this junture, the next job will be to remove the screen plastic bezel. The trick is to put your fingers between the Samsung NC10 netbook screen and the plastic bezel as in the image on the right, then pull on all sides of the screen until the bezel releases from the holders. The trick to totally remove the plastic bezel is to hold it on both sides and pull upwards. Use the image on the left as a guide. Now that screen area is exposed pull it towards you slightly and unscrew the two screws on the sides. Place the Samsung NC10 screen facedown on the keyboard area and at this point you will be able to see the display panel ribbon cable. Now is the time to remove the cable connection at the back. The Samsung NC10 netbook screens come with only one cable connection at the back as they are LED backlit type. This connection is held with a clear tape which needs to be peeled off before disconnecting. After removing the clear tape pull the cable backwards but be very careful when doing this. At this point also you will be able to see the screen part number. This number can always be used to get the right replacement screen for your laptop. At this point you would have successfully remove the cracked NP-NC10 screen. To install a new display panel continue the process in reverse order. The Samsung NP-NC10 netbook laptops originally come with a Chunghwa make screen with part number CLAA102NA0ACW which is 10.2 inch when measured side-to-side, diagonally. But sometimes the laptop may also have a 10.1 inch Samsung make screen with part number LTN101NT02 screen inside. The Chunghwa CLAA102NA0ACW screen is now EOD as the manufacturers have stopped making them. It is now known that a Hannstar 10.0 screen can be used as a direct replacement for the CLAA102NA0ACW. Below is an image of the Hannstar HSD100IFW1 make screen. As you can see from the image on the right, some part of the screen is visible after puting back the plastic bezel. This is due to the Hannstar screen being slightly smaller compared to the original Chunghwa type. THIS DOES NOT AFFECT THE WORKABLILITY OR RESOLUTION OF THE SCREEN. Using the Hannstar laptop screen on the Samsung NC10 is the only option to successfully find and replace the cracked display panel if the netbook has come with a 10.2 inch Chunghwa CLAA102NA0ACW type screen. I hope this has been useful to you. Good luck!.